Happy Halloween! I can’t believe that October is pretty much done and dusted. Am I the only one that thinks this year is whizzing by? Next stop is Christmas and before you know it, we’ll be waving goodbye to 2015. What a thought eh?! October has been a pretty interesting month. The temperature has definitely fluctuated from a Winter chill to a mini heat wave (kind of). This prompted me to get in the mood for the festive season ahead and some of my favourite items this month reflect just that. 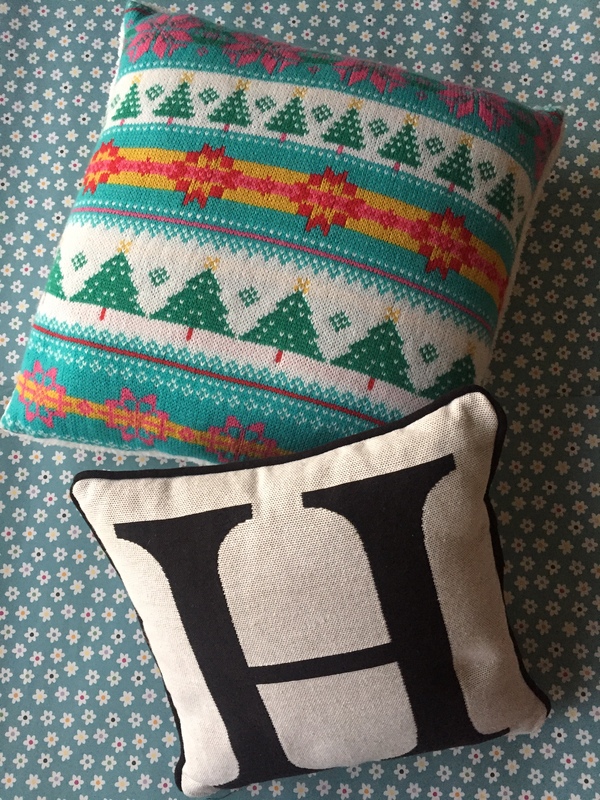 First up are these gorgeous cushions from George at Asda online. I wanted to revamp my bedroom making it a bit more snug and girly. I absolutely adore the Christmas cushion which was only £8. It’s knitted on one side with this cute festive argyle design. The other side is fluffy and white and resembles a teddy bear. It’s so warm and cuddly. The second that I picked up is this smaller initial cushion. It was £5 and of course the H stands for Hayley. The George homeware range has definitely upped its game. The products are such high quality and at affordable prices. You should definitely have a browse online. This month I decided to visit Toni & Guy for a haircut. Having subjected my hair to the heat in Mexico last month, it was starting to feel rather dry so I got an in salon treatment done. If you ever get a treatment done, you’ll know that it’s rather pricey and lasts for up to 5 days. Well, at Toni & Guy they give you an option of the Label M Intensive Mask. It’s £15 however they give you the contents of the tub to take home!! Bargain! The pot is 120ml and they recommend using this once every two weeks so it definitely lasts a good few months. 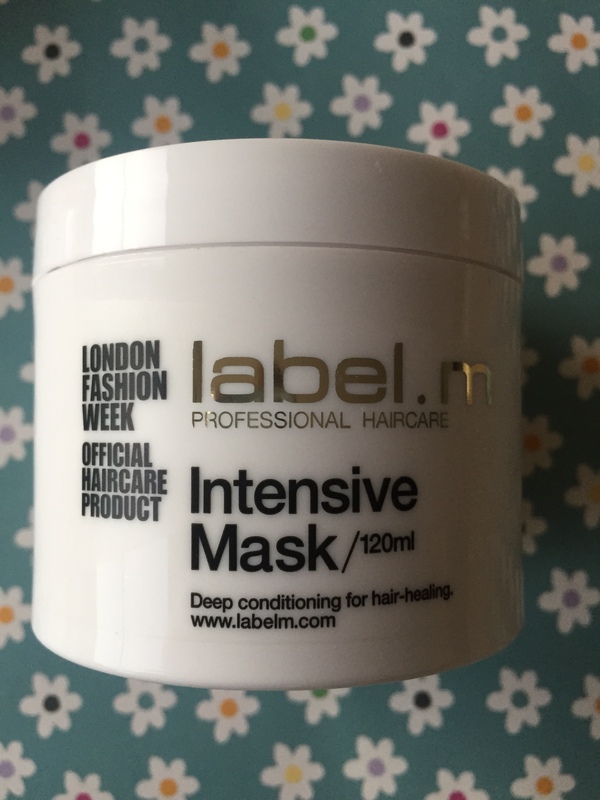 This mask is specifically for deep conditioning and healing thirsty hair. It makes your hair feel salon fresh and in tip top condition. An amazing product! As the Christmas countdown is on, Lush have released their festive items. This means Snow Fairy is back people!! This is hands down my favourite shower item. It’s a thick pink shower gel which has a little sparkle and smells just like cotton candy. It’s smells so delicious! It lathers well, leaves skin feeling moisturised and with a candy scent. It’s not over powering and the scent disappears by the time you get ready. I opted for the large 500ml bottle which is £12.75, however it lasts for months. 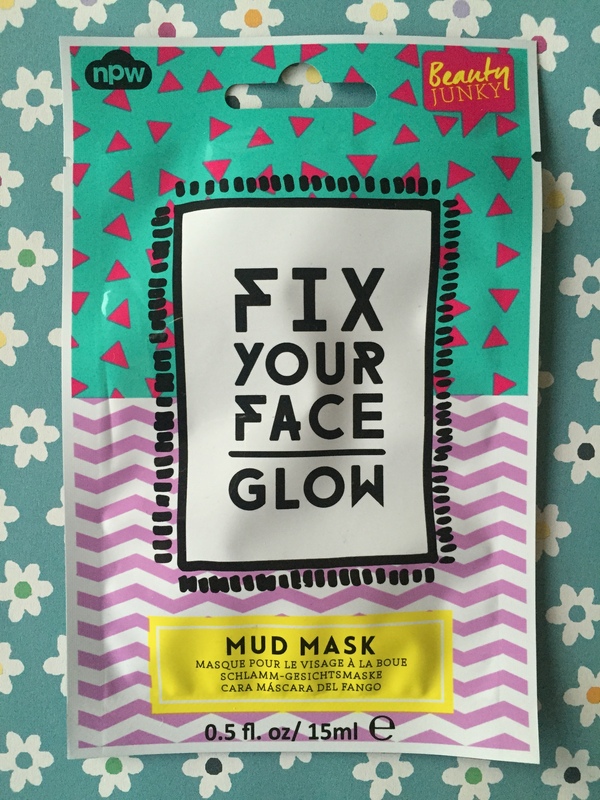 As you know I love a face mask and whilst I was browsing in Selfridges recently I came across this Beauty Junky Fix Your Face Glow mud mask. It was £6 and I managed to get two uses out of the 15ml packet. It’s a good pick me up and is deep cleaning. It left my skin feeling fresh and revitalised. Clean skin is obviously what we all want however at times there’s the odd pesky breakout. 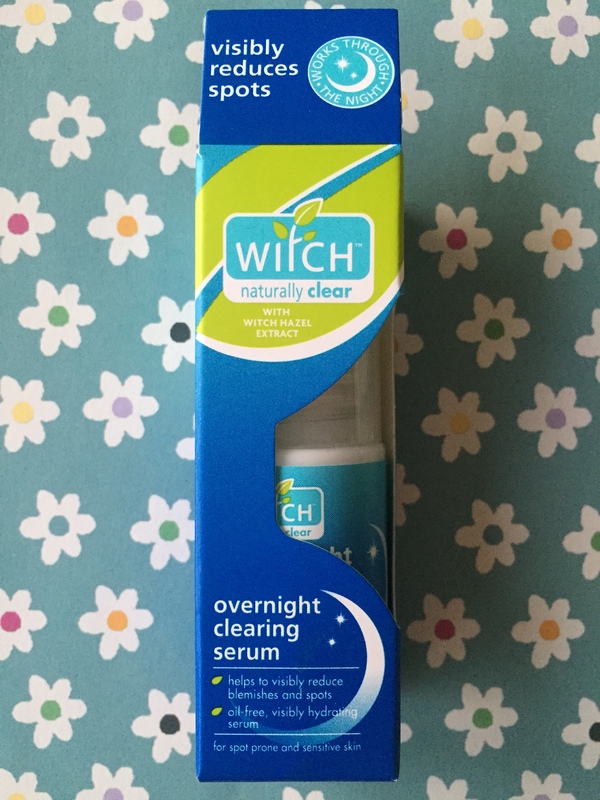 The Witch Overnight Cleaning Serum is like a magic cream. It really does do what it says it will – I mean how many times have you been lured into buying a product which turns out to give no results. After one use, leaving on overnight, it left my skin feeling hydrated and visibly reduced the size and appearance of blemishes, including those which are red marks. I’ve never seen a product working so quickly! This retails for £5.99. I picked up these Marc by Marc Jacob hair ties in Selfridges. They cost £30 for 3 and can be used as hair bobbles or as a bracelet. They are made from elastic, they’re quick thick however they grip your hair without causing any damage. 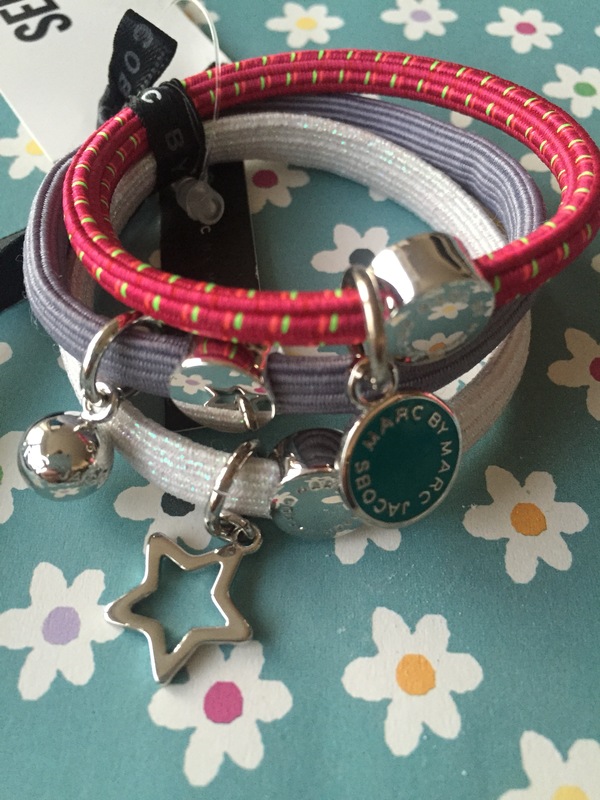 They also feature the Marc Jacob disc plus a dangly star, ball and coloured disc. So pretty yet so simple. 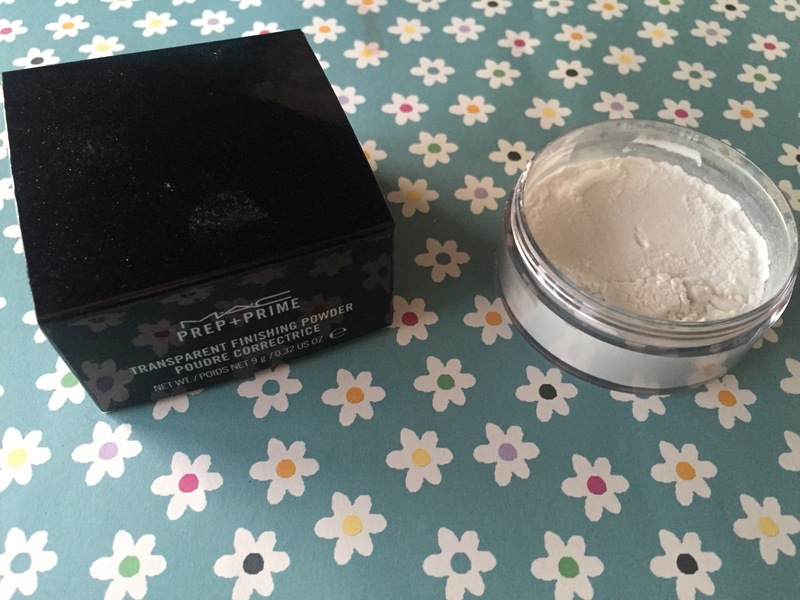 My final item which I cannot live without is the MAC Prep & Prime Transparent Finishing Powder. It’s £20.50 and is a fine light weight white powder which you dust over your foundation to set your face. I use a big fluffy brush to apply and it minimises the appearance of pores and leaves skin looking flawless. Although the powder is white, it doesn’t make your face white. It’s invisible and is the best face powder I’ve ever came across. Hope you enjoyed reading this post. Let me know your thoughts on the items that I featured and if you had any good or bad experiences with them. Also, please let me know which items you were loving this month! Enjoy the rest of the weekend and don’t forget to hit the like button below. I love Lush Snow Fairy! I really need to pick it up! I love that initial cushion too, so cute! You have me intrigued about Snow Fairy. I generally find Lush stuff kind of off-putting (it’s all the smells when they get together) but this sounds delicious. Also, that pillow is divine. So cute! That’s the one – oh gosh, that smell is the worst. 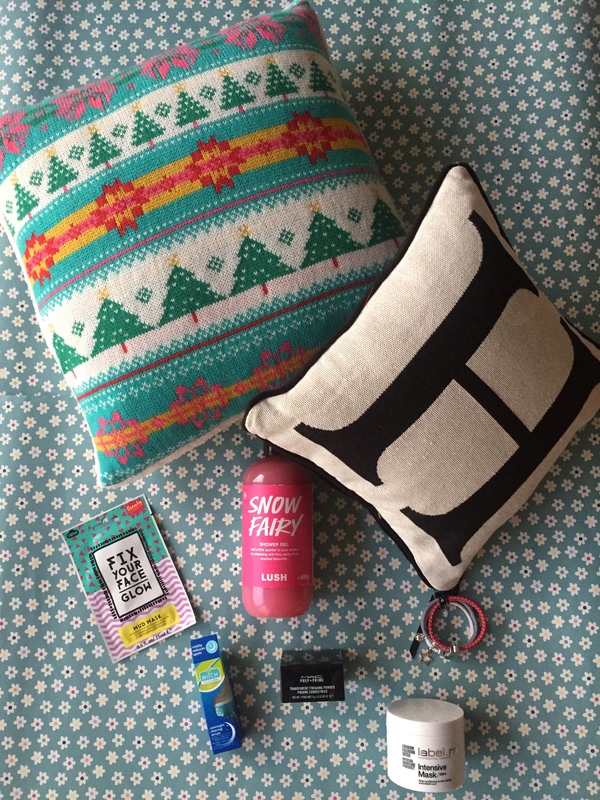 Great to know Snow Fairy doesn’t have that smell – I will absolutely have to check it out now. Thanks! The MAC finishing powder looks great and those Marc Jacobs hair tie /bracelet are super cute.